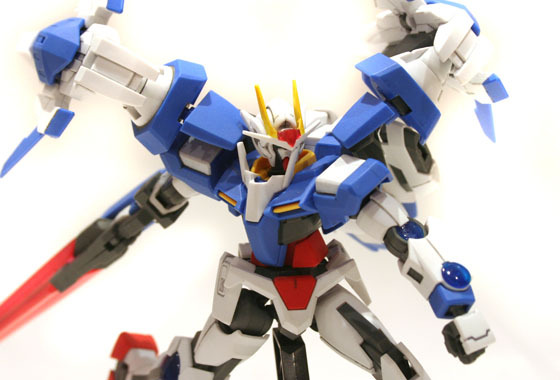 Here’s the third and final part of my review of the 1/144 00 Gundam, covering the 00 Raiser and extra weaponry! 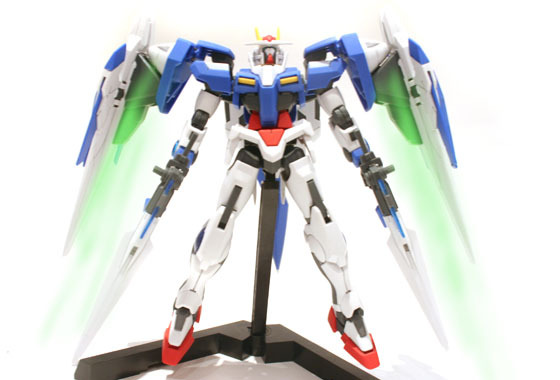 As mentioned in my first impressions post, I wasn’t the biggest fan of the 00 Raiser to begin with but I have definitely been turned around by this kit. 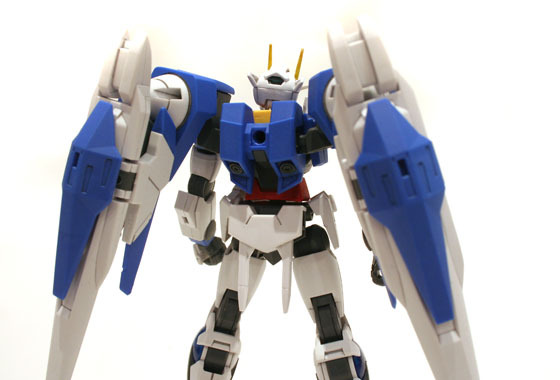 Initally I saw the lack of detailing and panel lining as a bit of a cop out and a possible sign of costcutting by Bandai but have come to appreciate the super sleek Anno Domini era Gundam design. 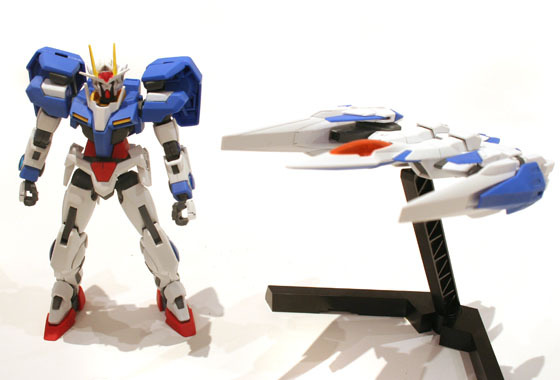 Not really alot to say here, the Raiser is a combination of the 00 and 0 Raiser which have both already been reviewed separately, so here they are side by side. 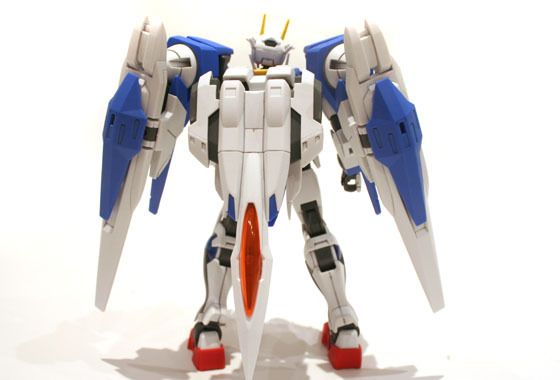 The wings separate from the body of the Raiser, and the rear of the body is flipped underneath itself..
Next up the wings connect to the verniers on the 00. Despite being quite big the verniers do a great job at holding the wings in place during posing.. 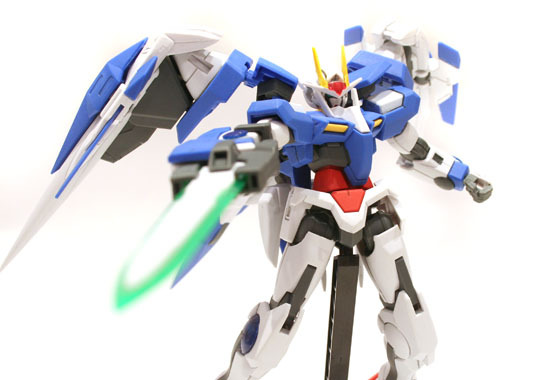 The 00 Raiser not only beefs up a few existing weapons but brings back an old friend from Gundam Exia also. 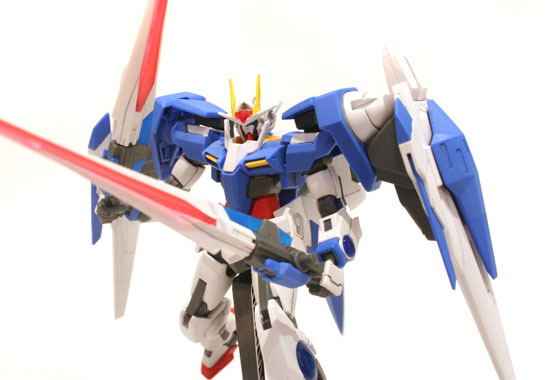 GN Sword II – Beam Saber mode! Huge beam cores included which clip into the blades. 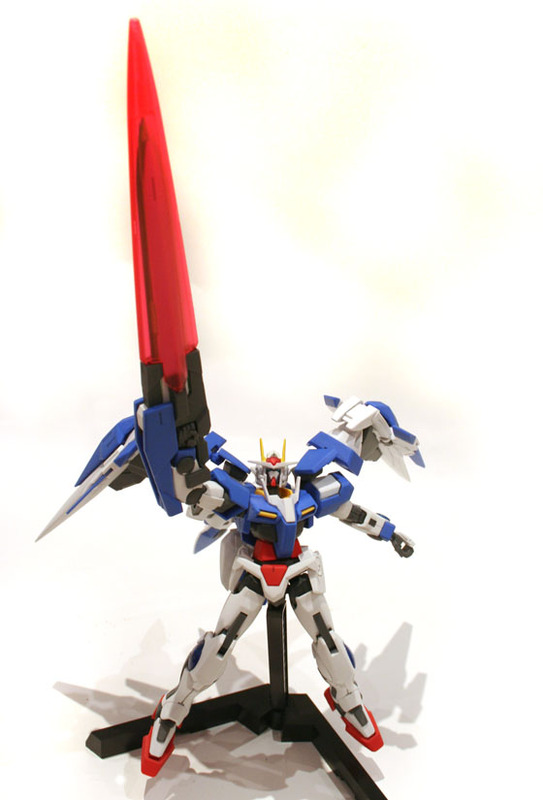 Raiser sword attachment, just when you thought the GN Sword III was big! 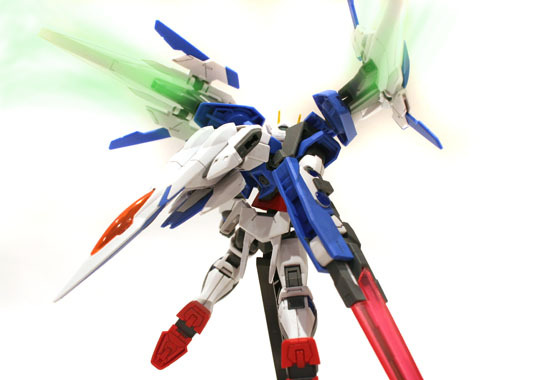 Ok I concede, this kit’s pretty great, sometimes posing can be a bit funny with those heavy Raiser wings but it eventually plays ball. 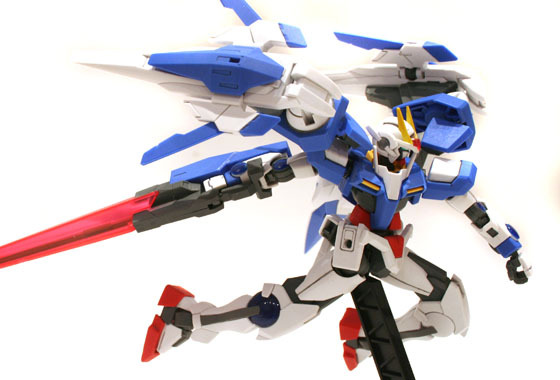 The combination of the 00 and the Raiser make for a very versatile kit with almost endless posing opportunities, and the whole host of multi-mode weapons are a real treat too. Thanks for reading! A few more poses await you below..
one cool kit james and job well done. 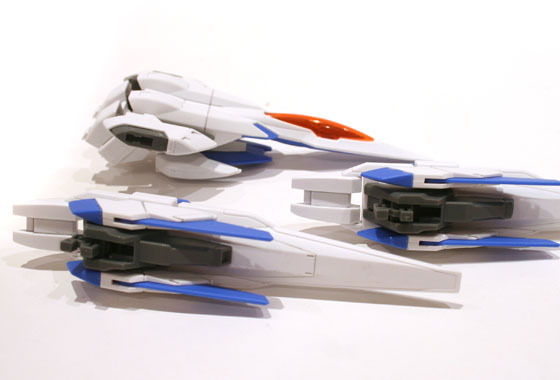 Between the exia and now this i think you’ve spurred me on to the astrea f! dont see any point doing the same kits, we need the variety. thats a sweet build, not struck on the ridiculous sword , but its just presonal choice. so whats next, the big red guy?